Whistler village is at the foot of Whistler and Blackcomb Mountains, each boasting alpine hiking trails with incredible views, easily accessible by gondola. 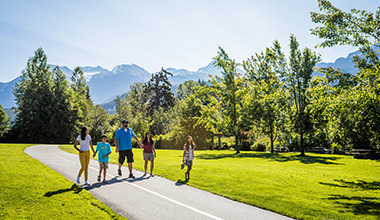 Choose from short, family friendly strolls on wide paths to more advanced hikes to lakes, glaciers and alpine meadows. Keep your eyes open for chipmunks and marmots, and make sure you keep a camera handy for capturing the rugged mountain vistas. How do I get to the hiking trails? You can access the hiking trails via the Village Gondola on a sightseeing ticket, which also gives access to the incredible PEAK 2 PEAK Gondola, a Whistler must-do. Spend the day on the mountain and enjoy a memorable meal with spectacular views. 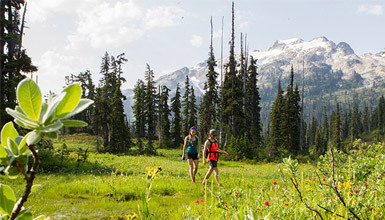 The other mountains around Whistler are home to hiking trails of varying length and difficulty, making Whistler the perfect place to stay while you explore the Coast Mountains on foot. Visit the spectacular waterfalls and ancient forests on short half day excursions and take on longer, multi day treks through glaciated valleys. Take a winter walk on the Valley Trail. Sections of the Valley Trail are maintained over winter. Take an interpretive walk to Lost Lake starting from your hotel with our experienced naturalist guide and view nature right outside your door. Tour is approx. 2 hours. Take a walk back in time to the historic Whistler Train Wreck of 1956. Join one of our guides as they lead you through the Ancient cedars to the mysterious, colourful abandoned box cars. Tour is approx. 2 hours. Explore the Whistler Glacier on this guided interpretive tour! Take a walk on the glacier snow and ice atop Whistler Mountain and take in the natural landscape sculpted by ice and volcanoes. Outfitted with boots, crampons and an ice axe you will learn how to walk using glacier equipment, learn about the formation of the Coast Mountains glaciers and have a chance to play on the ice and snow. No experience is necessary. Tour is approx. 2 hours. Lift ticket not included in tour price. Hike up to and along the edge of Whistler Mountain overlooking amazing mountain views. Clip into cables as you safely cross small suspended bridges and cliff-edge features. View some of the oldest and biggest trees left on the planet. Enjoy an interpretive hike with a qualified naturalist guide. Tour is approx. 3.5 hours. Learn about the black bears that inhabit our valley. Hike in bear territory, explore bear dens, and learn about bear facts including what to do when one encounters a bear. Tour is approx. 3 hours. Whistler is spoiled with breathtaking waterfalls and magnificent views. This tour exposes some of the most amazing beauty this region has to offer. Tour is approx. 3 hours. 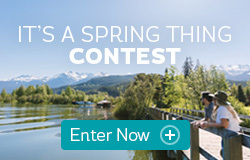 In Cheakamus Lake Provincial Park, you will hike in prime bear and deer habitat. Under the canopy of Ancient Cedars and Douglas Fir, you will enjoy moss-covered forest floors by raging glacier fed streams. Tour is approx. 4 hours. Have you experienced the thrill of sliding down a slippery slide or gliding through snow on a toboggan? Glacier Glissading not only combines both of these into one ultra-fun activity, but does so on summer snowpack! This tour includes all of the interpretive aspects of our Glacier Discovery Tour plus Glissading. You get two tours in one! Climb on the Whistler Glacier using real mountaineering techniques! Outfitted with boots, crampons, ice axed, harness and rope, your guide will lead you onto the glacier snow and ice atop Whistler Mountain. Learn about glaciology and how to ascend the glacier around the crevasses like a mountaineer. No experience is necessary. Tour is approx. 3 -3.5 hours. Lift ticket not included in price. Ascend high up into a land of glaciers and snow-capped peaks. Learn about alpine ecology and our local natural history from experienced hiking guides. Hike through flower-filled meadows and look out for pikas, marmots and black bears. Includes an alpine guide booklet. Short Trek Tour is 3 hours long. Ascend high up into a land of glaciers and snow-capped peaks. Learn about alpine ecology and our local natural history from experienced hiking guides. Hike through flower-filled meadows and look out for pikas, marmots and black bears. Includes an alpine guide booklet. Long Trek Tour is 6 hours long. Take a guided day hike in the stunning landscapes of the Coast Mountains where youll be able to experience Whistler’s spectacular views. The final hike destination is dependant on trail conditions, weather and fitness level. This 3.5 Hour guided hiking adventure on pristine fly-in backcountry trails. Exceptional landscapes, geography, and wildlife. 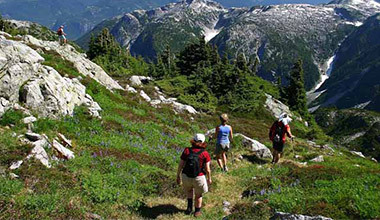 Tour locations include Tricouni Meadows, and the Callaghan Valley region. There are no results for the filters you have selected. Please update them and try again. *Please note tours are weather dependent and subject to availability and changes. Prices also subject to change. 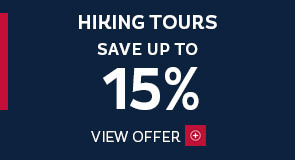 Book by April 15, 2019 and save 15%. Valid for tours departing May 1 - September 30, 2019. Bringing a furry friend? Not all trails are open to dogs - here’s some ideas for trails to explore with your hound. Insider info on the best hiking spots, what to carry and where to get more information when you are in town. An Insider's guide to hiking a secluded paradise just south of Whistler with a plethora of lakes, waterfalls and glaciers.